SegaRock Vol. 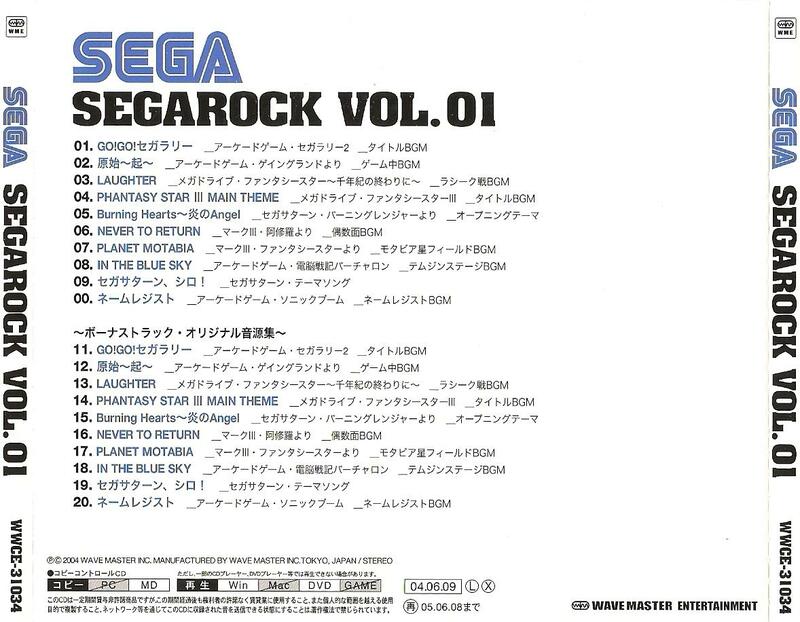 01 is an album containing music from a variety of Sega games, including Sega Rally 2, Gain Ground, Phantasy Star IV, Phantasy Star III, Burning Rangers, Ashura, Phantasy Star, Cyber Troopers Virtual-On, Sonic Boom and the theme of Segata Sanshiro. The the first half of the album was also made available as a digital download in Japan on Amazon and iTunes, with individual tracks costing ¥150.